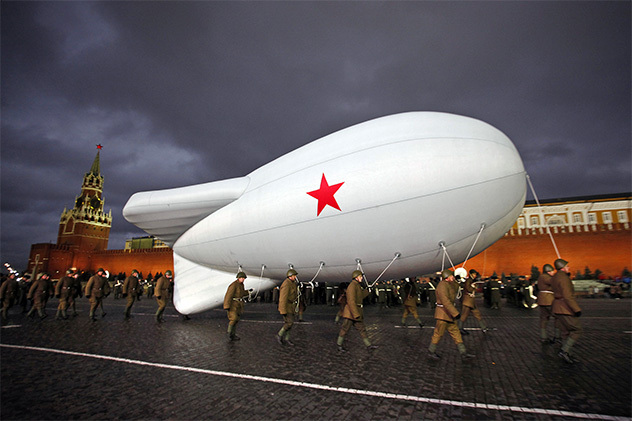 Russian soldiers dressed in Red Army World War II uniform carry a dirigible as they march during a rehearsal for the Nov. 7 parade in Red Square in Moscow, Russia, Tuesday, Nov. 1, 2011. The parade marks the 70th anniversary of a Nov. 7 parade on Red Square. Source: AP/Alexander Zemljanichenko Jr.